Workplace safety and security have long been important topics. The US Department of Labor considers them crucial enough to maintain a public resource devoted exclusively to workplace safety and health. New readers are first introduced to the Occupational Safety and Health Act (OSHA), which regulates the grand majority of private industries. Government supervision can be extensive, depending on the nature of the workplace setting and conditions. 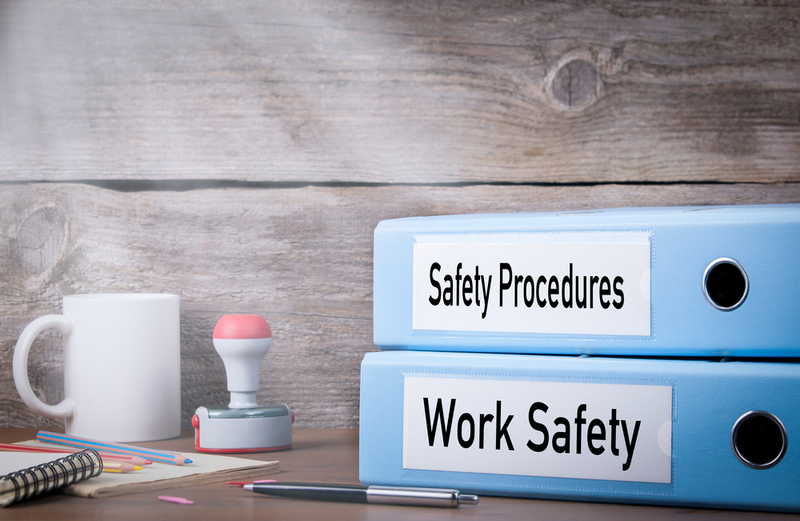 Most employers have access to the relevant training requirements prescribed by the OSHA standards. You can just as easily explore them yourself, too. Why spend the time doing so? Because you should always expect the unexpected. People forget that accidents can happen. The US Bureau of Labor Statistics published data revealing that there were 5,190 fatal workplace injuries in 2016 alone. Most of the recorded fatalities were the result of transportation incidents. Violence and other injuries by persons or animals increased 23% from the previous year. The report makes it clear that workplace fatalities can happen in a variety of ways. One key takeaway, then, should be identifying the riskiest professions. Forbes writer, Jacquelyn Smith, highlighted what she considered America’s ten deadliest jobs back in 2013. Loggers, fishers, aircraft pilots, roofers, and agricultural and construction workers, were some of her most salient examples. Another Forbes write, Jean Folger, drew attention to six surprisingly dangerous jobs. She explains how nurses, janitorial staff, bakers, landscapers, etc., have to expose themselves to considerable hazard on a regular basis. There are other illustrative examples, too. Julie Turkewitz at The New York Times published an article describing how military veterans are being hired to protect marijuana dispensaries. She openly admits that “no industry is immune to thievery” but also that “the owners of Colorado’s 978 marijuana shop licenses and 1,393 marijuana growing licenses are particularly vulnerable.” That’s because cannabis remains federally prohibited, which prevents financial institutions such as banks from doing business with dispensaries. As a result, marijuana businesses have exceptionally large sums of cash on hand in addition to the valuable products themselves. In other words, criminals see them as perfect targets. Fortunately, the market already offers businesses a decent amount of options. One possibility is investing in employee training. In other words, you could be instructed on what to do during active shootings in the workplace. That strategy has the added benefit of making employees feel much more empowered. Businesses could also enlist the help of professional security services. Alex Halperin at LA Weekly already published his thoughts on how the cannabis security industry helps businesses fight crime. Since no single countermeasure is likely to mitigate the entire spectrum of risk, it’s probably best to rely on a multifaceted approach. It’s also your responsibility to remain conscientious of your surroundings. That means more than simply looking around every once in a while — it means cultivating situational awareness. Scott Stewart at Stratfor has done everyone the favor of releasing a practical guide to situational awareness. According to him, situational awareness is much more mindset than it is skills development. “The primary element in establishing [that] mindset is to first recognize that threats exist,” argues Stewart. “Ignorance or denial of a threat make a person’s chances of quickly recognizing an emergent threat and avoiding it highly unlikely.” He also reminds readers that calibrating their natural instincts and tendencies will take some considerable time and effort. At the end of the day, workplace safety and security cannot be 100% guaranteed. The best that we can do is recognize the dangers and then exercise sound judgment. Accidents can sometimes be unavoidable but most are preventable depending on the workplace setting and conditions.